PwC is marking World Health Day today by announcing the establishment of its global food supply and integrity services business to help food companies and governments tackle the world’s food security, safety and quality concerns. Improving food safety is the theme of this year’s campaign by the World Health Organisation, which PwC says is a shared responsibility that needs confronting by industry and government to give people greater trust in their food. Macro-economic forces are threatening global food supply. According to PwC’s report released today, Food trust: From compliance to competitive advantage, governments are growing their regulatory focus and increasing oversight and sanctions to try and improve food safety performance and protect their people. “Trust in food is a public health concern, a significant political issue and a substantial risk for food companies and governments that get it wrong. Complying with regulatory change is just the beginning. Legislation only sets minimum standards, yet customers expect food companies to go further in ensuring food is safe and high quality. “There is ultimately nothing more important to people than the food they put in their own bodies,” says Mr Armitage. In recent months consumers have been alarmed by a number of food safety concerns. Among the most high profile was the alleged substitution of almond and peanut shells for cumin seeds; hepatitis A contamination fears from frozen berry products; and ‘eco-terrorists’ threatening to poison infant milk formula. Mr Armitage says: “It’s not just small or unsophisticated companies or maturing economies feeling vulnerable to threats. The nature of today’s global and complex supply chains means a more strategic and innovative approach is needed by all. 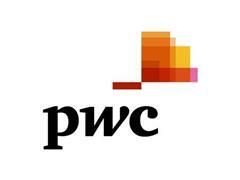 PwC is urging change and a more coordinated approach to reduce risks this World Health Day. PwC is offering its food supply and integrity services in China and New Zealand through a formalised Alliance model with the New Zealand Government owned food safety and biosecurity company AsureQuality. Elsewhere, PwC and AsureQuality are working together to offer their combined services to government and food company clients. 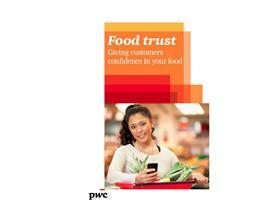 For an overview of PwC’s Food Supply and Integrity Services please see, ‘Food trust: Giving customers confidence in your food’. We discuss macro-economic trends that are increasing supply chain risks and changing the food industry, what best practice companies are doing and information about our services. We are working with governments and food companies to help with challenges around their food supply chains – offering food security, safety, quality and recall management services. Today’s announcement follows last year’s agreement between PwC and AsureQuality with COFCO – China’s largest food company – to develop a food trust framework that embeds best practice standards in food safety and quality, which was signed on the sidelines of the Asia-Pacific Economic Co-operation (APEC) Summit in Beijing. The report ‘Food trust: From compliance to competitive advantage’ discusses the background to increasing regulatory changes impacting the global food industry, along with the impacts of the US Food Safety Modernization Act (FSMA) for retail and consumer goods companies worldwide.